What sort of knife do you make for a dentist ? A brilliant dentist…bearing in mind he may be performing root canal surgery on you in the future…best make it a bit special ! 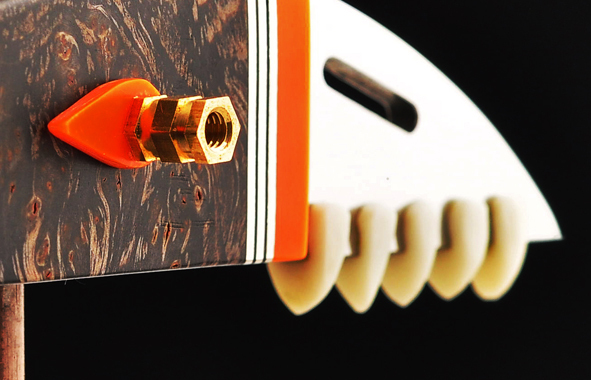 The thing that makes JAWS a bit special is instead of a conventional blade this knife has teeth ! Someone asked on the British Blades forum if it could be used …and I replied “Of course it can be used ” though in reality I have no idea what for . As for the dentist…he smiled when he saw his knife…The knife smiled when he saw the dentist… I smiled.. Perfect ! The knife is 15.5 cm long …….made of 12c27 stainless steel. 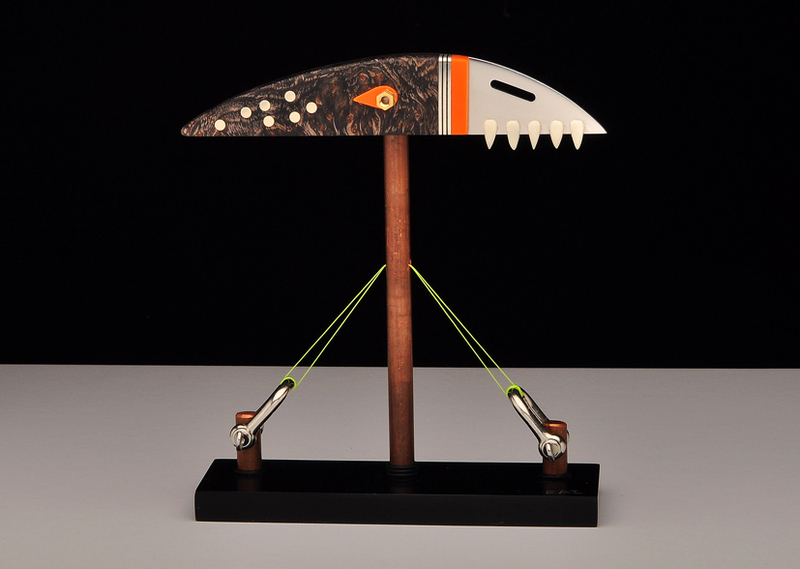 The handle is stabilised Alder root ,the bolster and the tear drop washer are orange Corian. The decorative sandwich is ebony veneer and pewter. The pins are nickel silver. The teeth are carved from ivory Corian . ~ by barrysalter on July 13, 2012.